While it is only a single Google account that you need to get started with Android, the list gets bigger with time. As you download more apps on your device, more credentials your device saves and the list of accounts keeps adding up. Fortunately, Android comes with an Account Manager built into the operating system, giving you easy access to all your saved credentials. 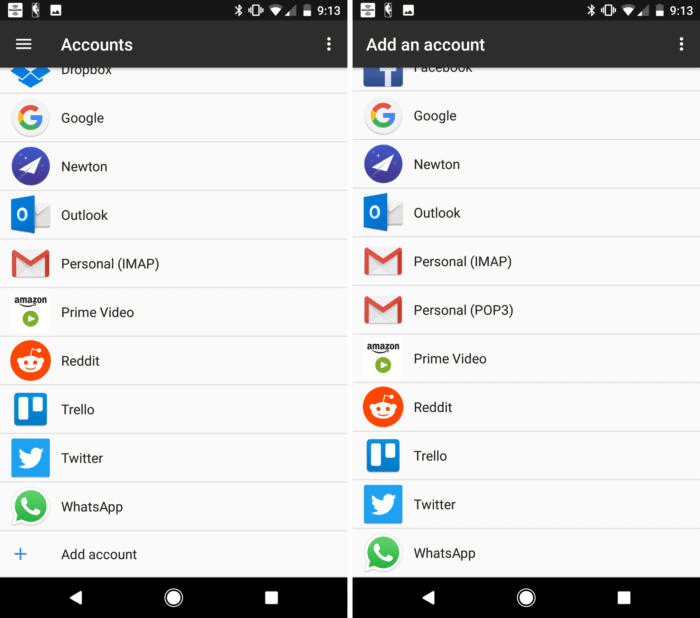 With this feature, you can add, edit, or delete accounts on Android without having to open each app that uses the particular account service. If at some point in time you feel the need to sign into an additional account for an installed app or service, you can use the Account Manager to do so. 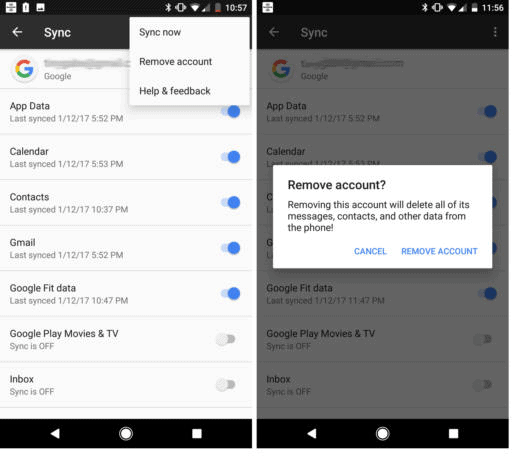 For instance, if you set up your Android device with one Google account and need to add another one to receive notifications on the Gmail app, you can use this method. From the home screen of your device, head over to the Settings app and scroll down to find the “Accounts” tab. This screen will highlight all of the accounts that have been saved to your Android device, so go ahead and tap on “+ Add account” at the bottom of the list to get started. The next screen will enlist all the apps or services that allow you to add a secondary account. You can use this screen to add another Gmail account, or even add third-party email services using the IMAP and POP3 options. If you have multiple accounts added for a single service, or simply want to delete the saved account for one of the services, the same menu will help you out. Head over to Settings-> Accounts and select the app or service you want to remove the account from. For instance, if you tap on the Google icon, the next screen will show you the saved Google accounts on the device, so tap on the one you want to remove. This screen will show you all of the options you can disable, such as syncing Contacts, Gmail, Calendar and more. To remove the account completely, tap on the three-dot menu icon on the top-right corner and select “Remove Account”. Were you able to finally rule your apps and services by understanding the feature of managing accounts on Android? Let us know your thoughts on it in the comments section down below.